It’s not rocket science, we all knew that Milan would need to invest again to rebuild. Perhaps it was our passion as fans that led us to believe that this time, this coach, or this season would be different, even though there wasn’t any investment or other changes to speak of. Even when Berlusconi dropped a cool €90m when he was a Beeliever™, I think we wanted to believe. But not all the conditions were there, not all of the pieces needed for rebuilding were in place. And while this rebuild could still fail should any of the pieces fail, at this point, it looks like the rebuilding is finally working. Berlusconi and Galliani were just plain cancerous. Football had passed them by, and they were both at points in their lives where they neither noticed nor cared. Berlusconi stopped investing. Galliani, who had slowly but surely cut out all of the positions between the lowest scout and CEO to make himself omnipotent and indispensible, could no longer spend. 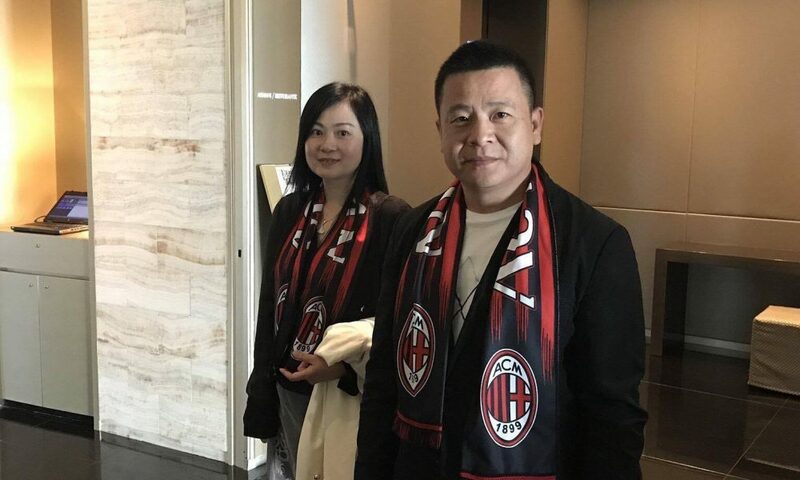 In fact, it was his overspending in both the transfer markets and on wages that forced them to sell Ibra and Silva in the first place, which was the biggest catalyst for Milan’s demise. To be fair, Milan’s demise had been slowly building for years. No players had come straight from the youth sector to the first team since Paolo Maldini (until De Sciglio in 2011.) And speaking of Maldini, he noted the lack of renewal within the squad over ten years ago, in 2007. And he told Galliani as much. But Galliani did nothing. With Yonghong Li’s purchase of the club and desire to return Milan to its status as one of the biggest clubs in Europe and the world once again, along came Fassone and Mirabelli. Both CEO and Sporting Director were new to their respective jobs, but not new to football. Both have their pulses on modern football, not how it was always done or how to use incestuous relationships with other Serie A owners. 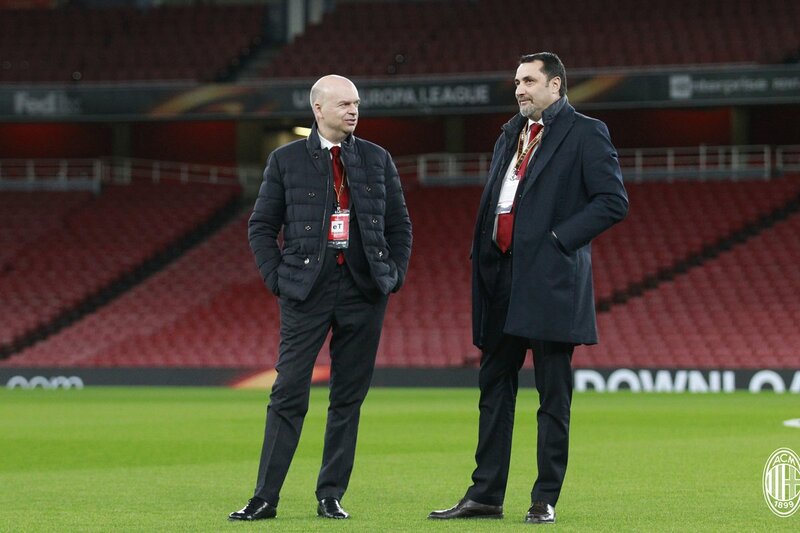 Fassone’s background in marketing has him looking for new sponsors in new markets, as well as marketing to the fans. That’s right, I said to the fans. Not lying, pandering, or insulting, but giving fans what they want and being transparent. Which has already paid massive dividends in renewed support for the team, not to mention ticket and jersey sales. Meanwhile, Mirabelli, whose background is as a scout, has intentionally scouted players who not only match our needs, but who seem to be a good fit with the mentality. 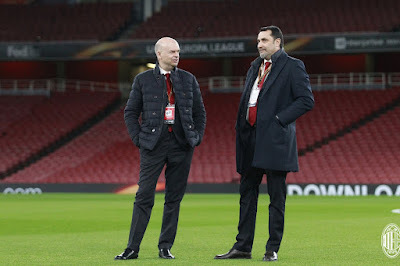 Instead of drinking with friends and announcing pompously that “the Condor will strike” just a few days before the end of the transfer market, Mirabelli has quietly scooped up free transfers ahead of others and tries to conclude his deals as early as possible to give the new players and coach the maximum time possible to train together. Whereas Galliani would just get whatever free transfer deals he could scrounge up amongst his old boys club, pay them exorbitant wages (which cost more than transfer fees because of the length of contract,) Mirabelli went out and paid fair market price for quality players. Players who were available, deals that were legitimate and transparent, and players who were hungry to win something. Even when Berlusconi tossed out €90m, expecting Mr. Bee to repay him, Galliani chose and spent the money poorly. It also wasn’t nearly enough to make up for so many years of neglect. Of those players, only one is still playing for Milan, and it was Romagnoli, the player Mihajlovic chose, not Galliani. When Mirabelli scouted, he didn’t just look for a left back, for example. He looked for a left back with pace and defensive skills, someone who could also take free kicks, a talent who could rise to another level within the right team. He didn’t go find some 37 year-old striker to give a huge paycheck to while he sat on the bench or was injured most of the time. He trusted and invested €38m in an up and coming young striker who has the work rate, mentality, and other characteristics of potentially becoming a future world class striker. All of the players he chose were investments. Not acquisitions made amongst acquaintances while riding a bicycle in Forte dei Marmi while on vacation. These players were carefully scouted during the eleven months before the sale of the club, then acquired through loan or purchase deals that were also carefully planned so that the payments would not hit all at once. There was definite planning, a clear thought process behind purchasing so many players all at once, and investments that were sound and reasonable. Investments that, after six months of trying to gel together, are finally paying off. New blood, new ideas, who knew? Milan had eight coaches in five years. That’s almost Zamparini numbers right there. Seedorf quit his playing career early to come and coach Milan. So as fans, of course we wanted him to succeed. Pippo Inzaghi’s passion is legendary, we all wanted him to succeed. But neither club legend were given the other pieces necessary for success. And so they didn’t succeed. Mihajlovic was the guy you wish you could hate, but his passion was so very contagious. However, he pissed off Berlusconi, and was replaced by the nearest doormat, Brocchi, with only six games left in the season. That move alone was so ridiculous even Zamparini laughed at Silvio. Ironically, it was the new management who chose Montella. And certainly, he served a purpose. While the sale of the club was delayed again and again, he took a team filled with mostly youth players (due to lack of investment,) and won a Supercoppa against Juventus and managed to get Milan back into the Europa League. However, he clearly was not the man to mold and form a team of so many new players this season. He lacked the vision and flexibility to see what was and wasn’t working. He couldn’t even match up his clothes or see the obvious starting eleven. What he had done for Milan’s mentality was admirable, but it wasn’t enough. The new management kept faith in Montella for some time, probably too much time. Then they took a gamble. 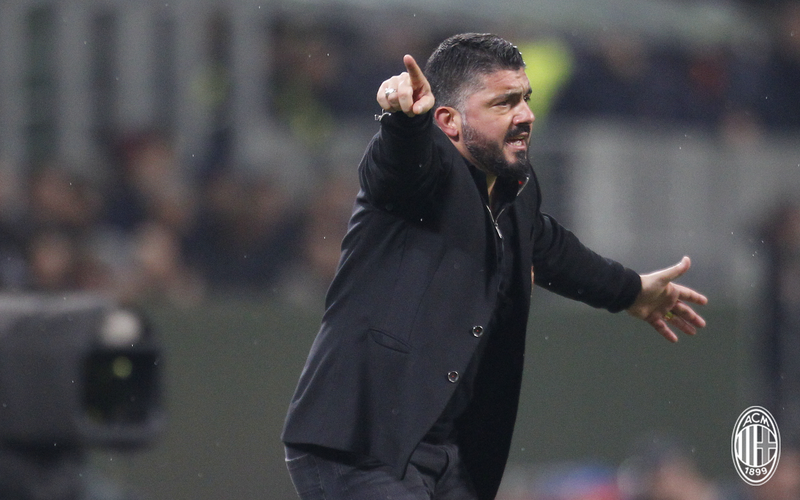 While I personally believe hiring Gattuso was financially motivated (they wouldn’t have to pay for another coach this season,) perhaps there was something else they saw there. Certainly even they admit that he has surprised them. He had the mental fortitude to take a random bunch of players who had been needlessly suffering, and give them the belief and reason to play up to their level again. He taught them what it meant to wear the Milan shirt, taught them to trust and believe in one another. He added the stability of lineups and quickly and properly diagnosed the tactical issues that had been weighing them down under Montella. And having been given all the other pieces for success, he has finally found just that. It’s not that the rebuild was impossible under Berlusconi, it’s that they never really tried. It’s not that the 70 plus players in and out over a three and a half year period were all terrible. Only most of them. After all, Montella took the leftovers of those years, stirred in some youth players, and enjoyed some successes. It’s not like he or any of his six predecessors were terrible coaches. Well, there was Brocchi, but otherwise, they weren’t so bad. It has been the magic combination of the new Management, the proper investments, and a coach that was in the right place at the right time with the right heart for the job. All of these things have the results coming and the fans singing and drumming even at a loss, instead of turning their backs or threatening players with sticks. If you think this smells like a proper rebuilding, you are not alone. And that is why rebuilding is finally working.